A funny, rude, mean, satirical, truckers hat on Hillary Rodham Clinton, the probable democratic party nominee for the 2016 U.S. Presidential elections. 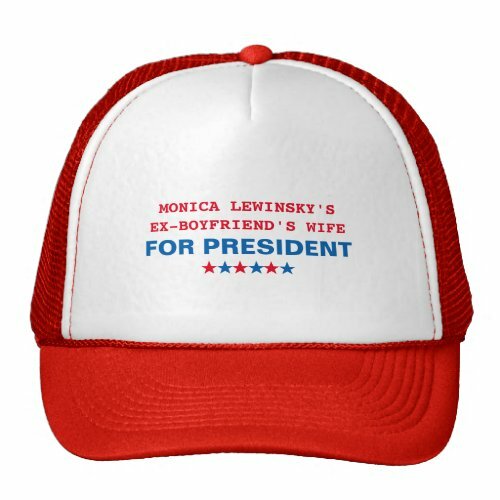 A fun hat for republicans to show their support for the democrat candidate. Makes a fun political gift for birthday, holidays, christmas, or any regular day for the republican supporters amongst your friends and family.